Ready, set, speculate! Taylor Swift fans can't wait for April 26 to arrive. Taylor Swift is counting down to something on April 26, but what exactly that could be is still anyone's guess. Early Saturday morning, the singer launched a mysterious 13 day countdown clock on her website that goes until April 26. Even the website AprilTwentysix.com redirects to Swift's homepage. She also appears to be dropping teaser photos each day on her Instagram and Twitter accounts, featuring only the caption "4.26." On Saturday, she posted a picture of a close-up sparkly heart, while Sunday she shared an image of two hands with several rings on them. Well, if the past is any indication, the singer will likely be releasing new music sometime soon. In August 2017, she had fans on edge when Swift wiped all of her social media accounts and had her official website entirely blacked out. A few days later, she began posting short cryptic videos of a snake. 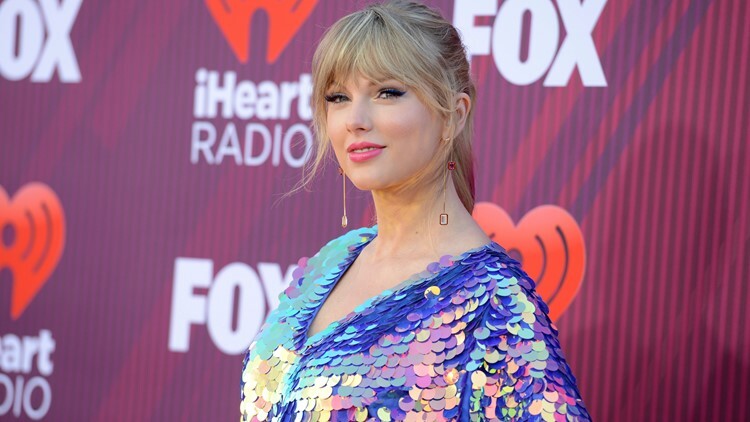 It led to the release of a new single and the announcement of her "Reputation" album. Most Swift fans on social media seem to think she's teasing the release of her seventh album and another "new era" of Taylor Swift. But there's a chance it could be something completely different. In early March, Taylor Swift told Elle Magazine about 30 things she learned before turning 30. And what was lesson 26? That she makes countdowns for things she's excited about. "When I’ve gone through dark, low times, I’ve always found a tiny bit of relief and hope in getting a countdown app (they’re free) and adding things I’m looking forward to. Even if they’re not big holidays or anything, it’s good to look toward the future. Sometimes we can get overwhelmed in the now, and it’s good to get some perspective that life will always go on, to better things," Swift said in Elle. So maybe this is all her way of saying she's really excited for "Avengers: Endgame" to premiere on April 26? Probably not, but everyone will just have to wait and see.